Beyond Meat announced the launch of the Beyond Famous Star burger at Carl’s Jr., the company’s biggest US-based restaurant partnership to date. 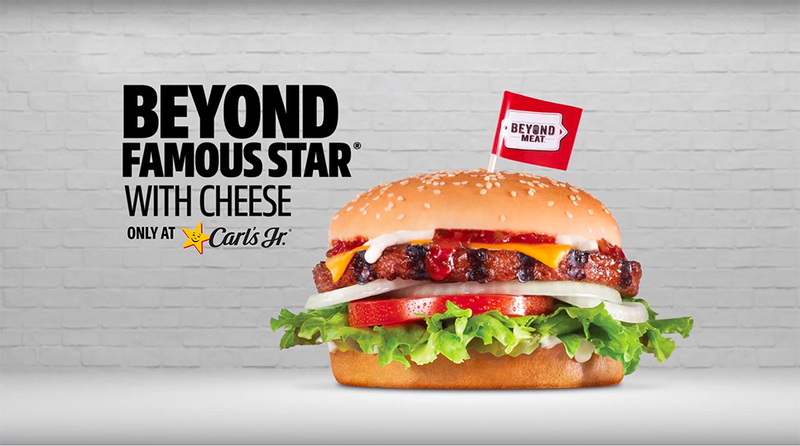 Announced on January 2, 2019, the Beyond Famous Star is a plant-based take on the fast food chain’s most touted product, the Famous Star, its signature burger. According to a news post by Beyond Meat, the “quarter-pound Beyond Burger patty is cooked top-to-bottom on an open flame in Carl’s Jr.’s unique char broiler” amplifying the flavors of the meatless sandwich. More than 1,000 participating locations will be serving the Beyond Famous Star across the United States, continued the announcement. Served with melted American cheese, lettuce, tomato, sliced onions, dill pickles, special sauce and mayonnaise on a seeded bun, plant-based diners can request it without cheese and mayonnaise. 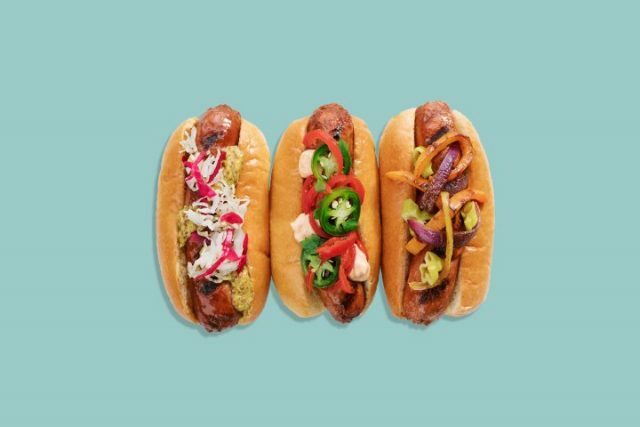 The Los Angeles-based company was listed in TIME magazine’s “Best Inventions of 2018” for its Beyond Sausage launched in three flavors: Original Bratwurst, Sweet Italian and Hot Italian. The Beyond Sausage boasts 16 grams of protein per serving, and is free of GMOs, soy and gluten. More recently, Newsweek named Ethan Brown, Beyond Meat’s founder and Chief Executive Officer, as one of the top innovators of 2019. The Center for Sustainable Systems at the University of Michigan was commissioned by Beyond Meat to conduct a “cradle-to-distribution” assessment of the Beyond Burger, its flagship product. The study’s purpose, as stated in the abstract, was to compare environmental impacts such as greenhouse gas emissions, energy and water consumption, and land use with traditional agriculture.